Here is another job opportunity for those who wants to try their luck working in other countries. 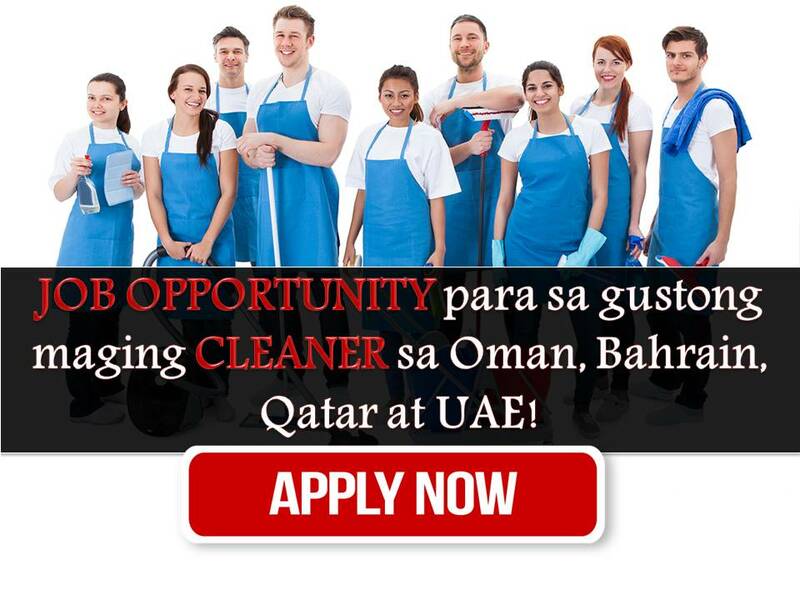 Qatar, Oman, Bahrain and United Arab Emirates is currently looking for cleaner staff. The four countries are belong to Top OFWs Destination List this 2016. It means they are hiring more workers compared to other countries. Job listing below is from the website of Philippine Overseas Employment Administration (POEA). ORTIZ AGENCY & EMPLOYMENT SERVICES, INC.